chances are he's going to want a friend to go with it! 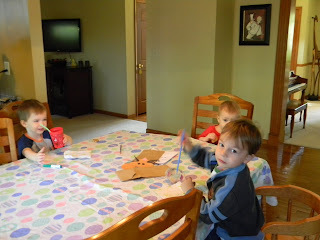 Our friends, Dana and Luke, invited us over for a story time playdate this week. We had so much fun getting the boys together. 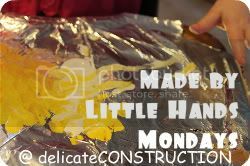 We chose the book, If you Give a Mouse a Cookie- mostly because Dana had a big book copy in her basement. And, who doesn't like cookies, right? Dana read the book to the boys. Then we played "Who stole the cookies from the cookie jar?" Remember that rhyme? We tossed a ball to the next person and said his name. We also read Hickory Dickory Dock by Keith Baker. This is a fun counting book based on the nursery rhyme. Each hour on the clock, a new animal visits the clock. 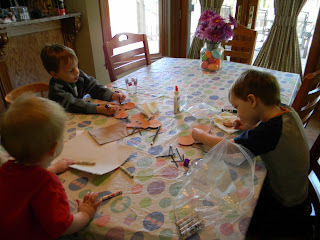 After our reading time we had a snack and a craft. Dana had 3 different types of cookies for the boys to try. After they tried it, they picked their favorite. Logan liked the chocolate cookie. Tyson and Luke decided they liked them all. Well, Luke told us he liked them all. Tyson just tried to grab them all! 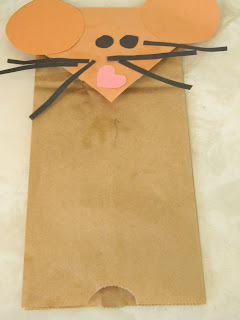 We made this mouse puppet for our craft. Neither of us had a working printer so I just cut out the shapes from construction paper. 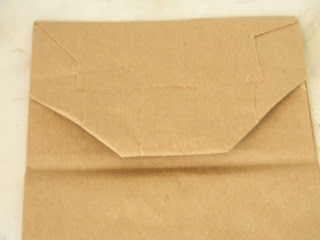 Before you begin the craft, fold the flap on the bag under so it looks like this. That will make your face piece fit better. After the craft, the boys ran around with their puppets. It was a fun way to spend the morning with friends. 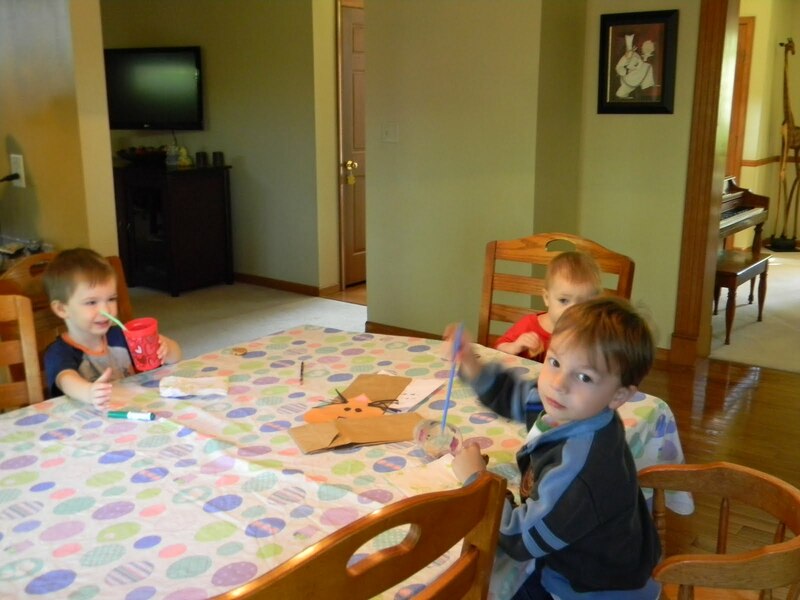 Do you have story time playdates or themed playdates? I'd love to hear about them in the comments. What a great playdate!! I love ones that have a little organization to them! If you give a Mouse a Cookie is on our list of books to read, but will now add Hickory Dickory Dock! We are working on counting. The craft is a great one to do with friends. Very fun! A story time play date!?! Terrific idea! Great idea...love all the activities! Adorable mouse paper bag puppets. Love the heart nose! Sounds like a fantasic play date. The puppets are so cute. Thank you so much for linking up. I think my little guy might love Hickory Dickory Dock. 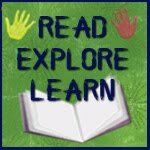 I love finding out what others are reading with their kids. I'm not always the best at leaving comments, but I am a loyal reader. Just want to thank you for your many great posts! I gave you the Versatile Blog Award over at The Executive Mom. 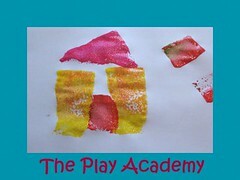 Lovely to see you at the Play Academy - and to be reminded of a rhyme I've not heard for ages. Will sing it to my girls tomorrow!